I've been referred to Cambridge Urology Partnership. Does this mean I have a serious problem? Not necessarily. You will have been referred so that a Consultant Urologist can see you and then arrange any investigations that may be required. The majority of patients that we see have problems which are treatable with medication or an operation. How soon can I have an appointment? As a partnership we usually have up to 6 clinics a week, and this means that it could be just a day or two to wait for your appointment. 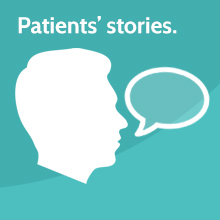 We aim to see the vast majority of our patients within a week of referral. If your condition is urgent then we can usually arrange for you to be seen on the same day or the following day. Which consultant will I see? We have six partners in Cambridge Urology Partnership. The reason for your referral will determine which specialist you see, as we do not all see every type of urological problem. However, if you wish to see a specific partner, please mention this when booking, and although this may lead to a small delay in your initial appointment, we will try and accommodate you. Is it normal to be anxious about the appointment? We understand how anxious and sometimes embarrassed you may feel about your appointment, but our fully trained staff will make your visit as comfortable and relaxed as possible. Please do not hesitate to tell the Consultant or Nurse if you are overly concerned. They will be pleased to answer your questions and try to put your mind at rest. Do I need to bring anything with me to the clinic? It is important that you bring your referral letter if this has not already been sent through by your GP. Also please bring a list of any medication you are currently taking. It is also very helpful if you can bring with you a fresh urine sample in a container which you can obtain from your GP. We also need a number of our patients to do a urinary flow test for us when they come to the clinic, so if you can come to the clinic with a comfortably full bladder that would be helpful. Please let the nurse know when you arrive if you are desperate to pass urine, so that we can perform the test in good time. If you are being referred for a second opinion, please bring details of previous treatments and pathology results, as well as the results and the copies of any scans already taken (on a CD rom is fine). What tests might I need to have? There are a number of blood tests, urine tests or scans which you may need to have. We will try and arrange as many of these as possible on the day of your appointment, but it is not always possible to arrange all of them. Some tests which we think we might need to arrange when we have read your referral letter require pre-authorisation from your insurers. If this is the case, where possible, we will tell you what these tests are so that you can get pre-authorisation. The costs for consultations vary depending upon the appointment type and can be obtained from us prior to your appointment. Please call us on 0800 756 7771. There are additional charges for any investigations or diagnostic tests. Some of these will be billed directly by the hospital, and some by Cambridge Urology Partnership. Charges are routinely covered in full by all medical insurers, subject to individual policy benefit limits, restrictions and excesses. If you require surgery, you will be given an estimate of the specialists fees, so that you can check your level of cover with your insurer. If you are not covered by medical insurance, the hospitals we work with can usually offer all-inclusive packages for surgery. For more information on charges please contact us on 0800 756 7771. Should surgery be required this will be arranged at a mutually convenient time. If you do not need surgery, any follow-up treatment will be explained to you. Do you contact my GP? Yes. We will inform your GP and any other relevant specialists, in writing of all consultations, investigations and treatments that you have received. Simply call 0800 756 7771, Monday to Friday, between 8am and 6pm (5.30 pm on Fridays). You will need a referral letter from your GP to see the Consultant Urologist if you are expecting your medical insurer to pay. Ideally we will have this prior to your first appointment, but if not then please bring it along.